Start taking classes at I Heart Pilates and other studios! 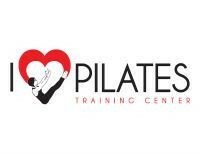 I Heart Pilates' friendly, motivating team of certified Pilates and yoga instructors will support you on your journey to a healthier, more energetic lifestyle. Arrive at least 5 minutes early or your spot may be taken! Wear grip socks or barefoot. Mats and water provided. Located off of Woodstock Road/Hwy 92 in Roswell, cross street is Westwind Blvd. Next to LAX World, Moe's Southwest Grill, and near Home Depot. Terrys class is very relaxing and is the best way to start off the week! Great class! Jeannine knows her stuff, is AWESOME about correcting form, and shes fun and encouraging. Ill definitely be back! This was a good class! The facility was pretty and clean, and the instructors were friendly and welcoming. I had a little bit of a hard time keeping up with all of the quick exercise changes, by the time I got what we were doing we had moved on. All of the exercise changes definitely kept it interesting and made the class move by quickly, though! First time trying barre. I really like the instructor. The class was well paced. I feel like this class is something you could do off a video online though. Mostly floor work. Great mat class, a good mix of traditional mat Pilates and some different stuff, loved using the roller. Very welcoming instructor. Great class! Great instructor! Kept it fun and upbeat! Wonderful, as always. Jeannine is a super knowledgeable and superior teacher. I get more out of this one class than from any of the other classes I've taken.